Here at Pew Pew Tactical, we have all you need to know about the gun laws of Arkansas in an easy-to-understand guide. Even as a state with relatively lax gun laws, you still need to be aware of what to watch out for when going in to your local Arkansas gun store to buy your next gun! We’ll go over all the ins and outs on how to buy a gun and what you can do with your new gun once it’s in your hands. What Are the Steps to Buying a Handgun? 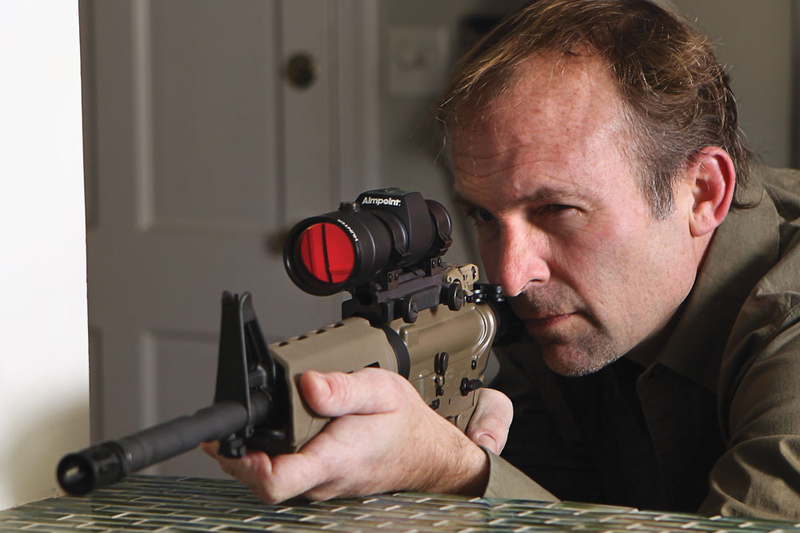 Buying firearms in Arkansas is a quick and painless process. There is no permit required to buy a handgun. There are a few requirements though. If you’re buying your handgun from a licensed firearms dealer like your local gun store, they will also need to conduct an instant background check before selling the gun to you. Even better, no background check is required if you buy a handgun from a private seller! So Anyone Can Buy a Handgun? As long as you don’t fall into any of those categories, you’re good to go! Because of the way gun laws are written, even though the state of Arkansas allows anyone over 18 to buy a handgun, the federal government only allows licensed gun dealers to sell handguns to someone over 21. If you are between 18 and 21, you cannot buy a handgun from a licensed gun dealer. But, you can buy a handgun through a private sale or transfer. So your family members can transfer ownership of a handgun to you, or you can buy a handgun from a private seller. Not to worry, kids! Even if you are under 18, you can still own a handgun if you have the permission of a parent, guardian, or other person responsible for your welfare. So be nice to your parents! 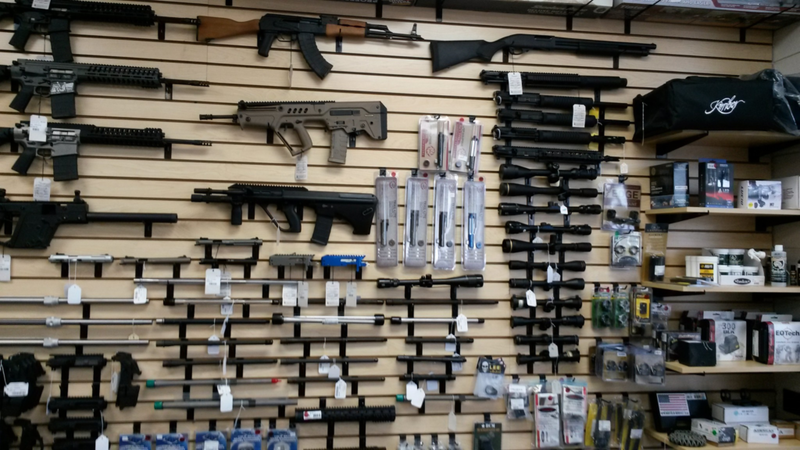 Buying a rifle or shotgun in Arkansas is just as easy as buying a handgun. Like with handguns, there is no permit required to buy a long gun. Arkansas does not specifically have any laws on the purchase and ownership of antique and replica firearms. What this means is that antique and replica firearms are treated like any other firearm, and fall under the same laws. Once you’ve got that shiny new firearm in your hands, you need to be careful where you take it! You do not need a permit to openly carry your handgun or have it in your car, as long as you do not intent to use it unlawfully against someone as a weapon. Simple, right? While you can (and should!) carry a handgun for self defense, a loaded handgun under the front seat or in the glove compartment of a car you are driving is presumed to be carried as a weapon to be used against someone. At that point, it will be up to you (and your lawyer) to prove in court, that you were not planning on using the gun against someone. 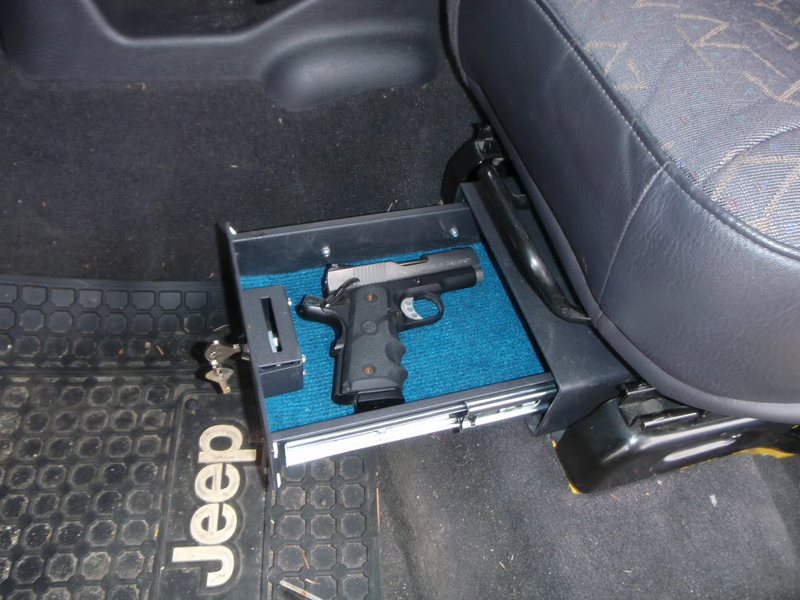 If you want to carry your handgun with you in the car, make sure it is either unloaded, or is inside of a case or handgun safe, so it will not be considered a weapon to be used against someone. Otherwise, you may have your handgun taken away and get an overnight tour of your local jail. 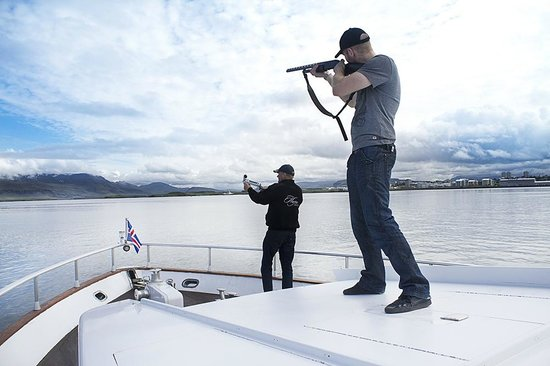 It wouldn’t be Arkansas without a little flair, so it is illegal to carry a firearm in a boat, at night, unless the gun is unloaded and in a case. Of course. Can I Just Carry the Handgun Concealed? 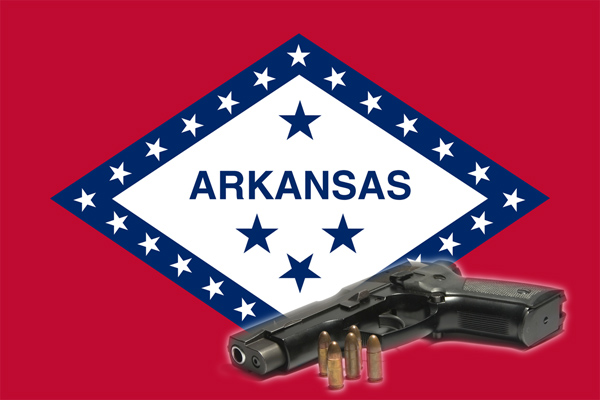 A permit is required to carry a handgun concealed in Arkansas. For those of you interested in the steps on getting that permit, check out our concealed carry section to find out all you need to know. What About Carrying My AR-15? Because Arkansas is a free state, the laws for carrying a long gun, including rifles and shotguns, are the same as with handguns. Easy peasy! You don’t. Arkansas does not require registration of firearms. 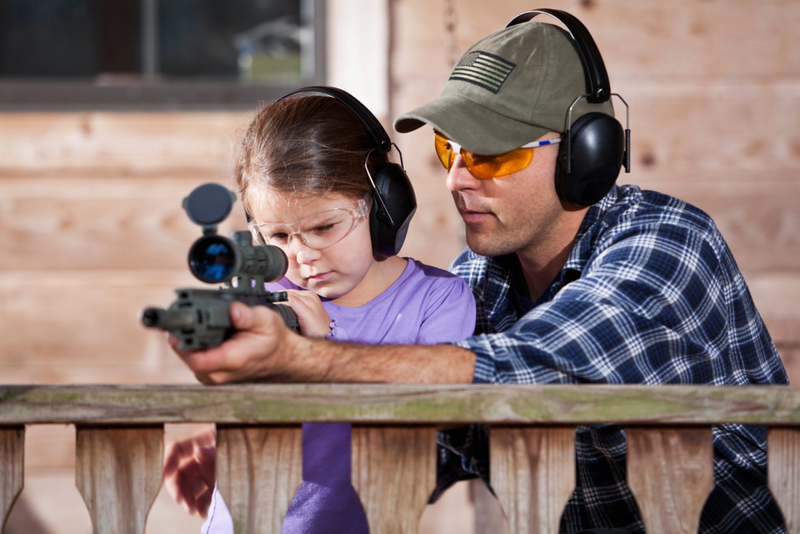 Aside from when you’re out hunting or spending the day at the shooting range, you can of course use your firearms to defend yourself and your loved ones. The Castle doctrine only applies inside your home and the immediate surrounding area. You can defend yourself in your yard, but someone standing across the street from your house would not fall under the Castle doctrine. And remember, just because you do not have a duty to retreat does not mean you must use deadly force in every situation, even if you are justified in doing so. There is no stand-your-ground law in Arkansas. In other words, if you are in a situation where you have a choice between defending yourself with your gun or running away, you are required to retreat if safely possible. Don’t be a hero. Arkansas does not have any laws on storage of firearms, but for those of you with children, or just want to keep your collection of firearms safely locked away when you’re out of the house, a strong safe or inexpensive gun cabinet will do just fine. If you’ve only got a couple handguns, then a handgun safe may be all you need to keep your shiny guns away from the bad guys while you’re out of the house.